Omid Shaye was very nice and professional but the office never got back to me about my lab results even aftercalling several times. Omid Shaye was very nice and professional but the office never got back to me about my lab results even after calling several times. I arrived in pretty bad shape, but the staff was amazing, as was Dr. Shaye. They looked at me and tookimmediate action, making follow-up appointments for necessary procedures and even recommending another great doctor I could see immediately for an IV treatment. Excellent, top notch service all the way around. I arrived in pretty bad shape, but the staff was amazing, as was Dr. Shaye. They looked at me and took immediate action, making follow-up appointments for necessary procedures and evenrecommending another great doctor I could see immediately for an IV treatment. Excellent, top notch service all the way around. Excellent doctor and staff. Highly recommend. 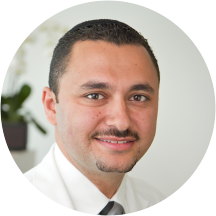 Very professional staff, It was a pleasure meeting Dr. Shaye he has a awesome personality.. I didn't mind the wait which was less than 30 mins. The entire staff was excellent. This was the best experience with a medical team I've had to date. Dr. Shaye works with an incredible staff, including Jessica. They were incredibly attentive, listened, and cared about what I had to say. He has a great bedside manner,and is not only pleasant but also seemed to respect my thoughts. Their facility is immaculate. There are literally bottles of water everywhere. Parking was cash only which I fortunately had on me but be advised. I highly recommend going here; I'll be back. Very upscale medical office with First class staff all very nice.I received a beautiful long stem white rose from the receptionist for Mother's day when leaving. I have only had one appointment thus far, but seeing Dr Shaye has already give me hope! He really listened to my issues (that multiple other doctors have discounted), explained things with diagrams slowly so a layperson could understand, andseems to have a game plan to figure out how to help. Fingers crossed. But so far, he seems really great! I interacted with a lot of staff, and every single one was outstandingly professional and personable. I have never felt so comfortable in a doctor's office. The office itself is immaculate. Jessica, the P.A., was one of my favorite medical professionalsI've ever met. Coming from a healthcare family, she had just the right touch to make me feel comfortable sharing even the most personal information. Dr. Shaye himself was quick and brief, but in those minutes, I felt I was in great hands. You can tell he trusts his staff, and boy do they deliver! I am oddly excited to return for my follow up. Dr. Shaye is fantastic. Unfortunately the wait time is long, so be prepared to spend a while there. He was wonderful, smart, kind and listened well. Worth the waiting time to see Dr Shaye... He promised me he wouldn't give up until I was feeling better. Everyone in the office was friendly and answered all of my questions, and the office itself was clean and pretty coollooking. If you're having tummy trouble... go to Dr Shaye. Dr Shaye was very professional and spent great deal of time listening and considering! I got tested right away and scheduled new appointment, so I am very greatful, and hopeful! The doctor is great, the process management was terrible. Running 45+ minutes late without a call is disrespectful of my time. THis is the best doctor that i have ever been to so atentive and so caring if you have gastrointerogical problems this is the guy to see!!!! I found Dr. Shaye online here just three days ago. Looking at his reviews I decided that I'd see if he could help me. When I first walked into the doors, I was greeted kindly by the staff. I was surprisedespecially because I was running a little late because of 405 traffic. They were still eager to help me see my doctor as soon as possible and answered all of my questions. Dr. Shaye is by far the most amazing doctor I have met. Having been in and out of different doctors offices for the last 8 months, I did not expect to get the kind of service I got. Dr. Shaye listened to my symptoms, asked questions, and diagnosed my problem on my first visit. Most of my other doctors assigned unneeded tests and wanted to see me in a month or two. It was such a relief to have a doctor CARE. He even left a voicemail for the other doctor I would have to see so that they could understand everything ahead of my appointment. Dr. Shaye asked, answered, and created a plan where I could resolve the problem as fast as possible. If you want great service, and a knowledgable, caring doctor, Dr. Shaye is DEFINITELY recommended. Dr. Shaye was very nice upon arrival in the room and apologized right away for the wait. This was a definite plus because it seems commonplace now that many doctors expect patients to accept the wait as part of life. Duringmy visit, he was very attentive and listened to everything I had to say about my symptoms. He never made me feel like he was trying to rush to the next patient and explained all the tests we were going to do appropriately and thoroughly. He also showed confidence that he could cure my symptoms and made me feel assured that I had come to the right GI doctor. I thought he was a nice enough doctor, but he barely examined me and sent me away with some antacid pills to try. I warn anyone against going to this office. It has been 2 weeks since i've seen him, andhave called now 4 times to speak with him with a follow up question, and have been completely ignored. I have spoken with a different person every time i've called, and each time they have said the doctor would get right back to me. The office staff seem incompetent at best. A really bad feeling to spend a lot of money on a doctor's appointment only to be treated like yesterday's news once you leave. Go to someone else, you'll thank me. I read some great reviews about Dr. Shaye and decided to trust them. And boy, were they right. He's a fantastic doctor, great smile, very interested in learning your full story, and works out the puzzle pieces to figure out howto solve the mystery of your problem. I raved about him to a coworker of mine, who had also remarkably heard of him, and also had wonderful things to say. I highly recommend him for anyone who wants to be sure to get a doctor who truly cares about your case and will work hard to make sure you get better as quickly as possible. Shaye is the best GI I've found in 5 years in LA, and I've seen many. Dr. Shaye has been a life saver in my time out here and has done so much more to help me with my Crohn's thanjust toss me on prednisone and send me packing. I cannot recommend this doctor enough if you have gastrointestinal issues. Dr. Shaye was a good doctor. However, I would not recommend going to this office, because the office staff is lacking. Had to call back multiple times to get requests for new medications and to get documents filled out. No apologiesfrom staff on these delays. Was told by the staff that medical documents were faxed to my insurance but that was a lie, documents were not even filled out. The wait time to see the doctor can be more than an hour after the appointment time. They sent me a bill like I had no insurance, so his office staff needs to do a better job. I thought he's great though. Outstanding experience. He took the time to explain everything in detail and answer all of my questions. The office is modern and the staff was professional and very pleasant. He explains everything with pictures and videos. Very kind, considerate doctor. I recommend him. Personable and conveyed that he cared, in a professional way. He was amazing he took the time to listen to my problems and did a full exam on me he seem like he was really interested in helping me to get better.